On the day of Moshe’s death he assembles the whole Jewish people and creates a Covenant confirming the Jewish people as the Almighty’s Chosen People (chosen for responsibility to be a light to the nations) for all future generations. Moshe makes clear the consequences of rejecting God and His Torah as well as the possibility of repentance. He reiterates that Torah is readily available to everyone. Certainly, this is difficult for most Christians to understand. After all, how can Moses say that the Law (Torah) is not too baffling, that it is not beyond reach, and that He expects the Children of Israel to obey it fully, when traditional Christian doctrine teaches that the Law (Torah) only existed to bring wrath (Romans 4:15), death (Romans 7:10), was only a guardian until Christ came (Galatians 3:24), and that if you break even one small mitzvah, you’ve broken the entire Law (James 2:10)? That’s a tough one. It certainly seems as if the Tanakh (Old Testament) and the Apostolic Scriptures (New Testament) are not in agreement, even a little. How can Paul say that the Law brings death and then say, virtually in the same breath, that the Law, which is good, doesn’t bring death? I recently came across a short article written by Ariel Berkowitz called “A Torah-Positive Summary of Sha’ul’s Letter to the Galatians” at MessianicPublications.com. The fine folks at this website and I don’t always see eye to eye, but in this case, the view Berkowitz presents in his missive come very close to my own. One of the issues that stands between my Pastor and me is the purpose of Torah for the Jewish believers, both in New Testament times and beyond, to our present age. Although we had previously agreed that the Torah has multiple purposes depending on the context, it still is a sticking point in our conversations on Galatians and D. Thomas Lancaster’s book The Holy Epistle to the Galatians. This should be a no-brainer for just about everyone. The mechanical observance of the Torah mitzvot, in and of itself, does not justify anyone to God. Only faith in Messiah justifies. No one is arguing against that. If a Christian uses that argument as an evidence that the Law (Torah) is no longer a valid means for a Jewish believer to obey God, it’s a straw man argument (although, to be fair, it’s been an argument against Torah in the church for so long, that I sincerely believe those using it are unaware of its “straw man” nature). It’s an easy argument to “win” but it means nothing. Let me repeat, obedience of the Torah mitzvot in and of itself does not justify anyone before God. Some people in the congregation were teaching a gospel of works, that one might be justified by what he does. If this was not bad enough, they were using God’s Torah and making a law out of it. They were trying to use God’s revelation to His people through Moshe as a means of works salvation, hoping to gain their justification by doing the Torah. Some people, scholars have differing opinions on who they were, tried to convince the Galatian churches that only obedience to Torah would justify one before God. This completely removes the requirement of faith. The message to the the Jewish church members was that faith in Yeshua (Jesus) was insufficient for justification. Their performance of Torah as Jews would be the primary (only) means of salvation. The message to the Gentile church members was that only by converting to Judaism (being circumcised) and full Torah observance would they be justified. Faith in Jesus wasn’t going to be enough. I think we all know that Paul vehemently disagreed with this position, but does that mean Paul vehemently disagreed with anyone observing the mitzvot for any reason whatsoever? We can see from the beginning, therefore, that in truth, Sha’ul had nothing against the Torah. Nor did he have anything against the Torah as a lifestyle for believers, as is evident from his own life. However, he was against anyone misusing the Torah. God never gave the Torah so that people could attempt to earn their salvation / justification from God by performing it. That philosophy is called “legalism.” Legalism is fatal! The Torah was never given by God to be a legalistic document. Some of the Galatians were attempting to do just that! Here, Berkowitz and I come to a bit of a disagreement. He seems to suggest (though I may be wrong) that there is a rationale for all believers, Jewish and Gentile, to observe “Torah as a lifestyle.” This implies that both Jewish and Gentile believers would/should observe the mitzvot identically and that this was appropriate and expected as long as their obedience wasn’t for the purposes of justification/salvation. My opinion is that the specifics of obedience to God differed or overlapped, depending on whether the believer was Jewish or Gentile, based on the halakhic ruling of James and the Council of Apostles recorded by Luke in Acts 15 and affirmed in Acts 21. Be that as it may, Berkowitz and I agree that the Torah does not justify people before God. He did say that we have to examine the life of Paul, as depicted in the Book of Acts, to really understand the Galatians missive and his other epistles. I agree. You can’t take Galatians out of the context of the larger body of Pauline letters and certainly, you can’t dismiss Acts as the overarching narrative of the life of Paul. If elements of those different scriptures disagree and if some of those elements disagree with the Torah, the Prophets, and the Gospels, then either something is wrong with the Bible or something is wrong with our interpretation. But Berkowitz tells us something important about the misuse of Torah. If we depend on only Torah observance to justify us before God, then the Torah really does bring death (Romans 7:10). This also seems to confirm James 2:10, since if a person depends on only Torah observance for justification, then they must observe all of the Law in order for that to work. Breaking even the least of the mitzvot would break the entire Torah and thus, the person would stand condemned before God. But all of those negative statements against Torah observance depend on a person using Torah obedience as their sole method of justification, and we know that, based on Abraham we are only justified by faith (Genesis 15:6, Romans 4:22). However, if one depends on faith for justification before God, and in the case of the Jewish person, observance of Torah was (and is) in response to the commandments for obedience once one is justified, then what is the argument against a Jew living a lifestyle in accordance with the Law of Moses? Where does the Covenant of Torah fit in? Sha’ul says that it is an entirely different kind of covenant. While the Covenant of Abraham is, on the one hand, a covenant of promise and faith in those promises, the Covenant of Torah, on the other hand, is a covenant of obedience. In the Covenant of Torah, the ones who received God’s promises by faith would enjoy and bear fruit in those promises by their obedience. Accordingly, Sha’ul writes in Galatians 3:12, “The Torah is not based on faith…” This is Sha’ul’s way of stating what we have declared above, that the purpose of Torah was not for salvation. If the Covenant of Abraham pictures salvation, then the Covenant of Torah would picture life as a redeemed person in Yeshua. Sha’ul says that anyone who relies on observing the Torah for his/her justification is under a curse, for it is written: “Cursed is everyone who does not continue to do everything written in the Book of the Torah” (Galatians 3:10–12). The key word here is not “observing,” but “relies on.” The one who is relying on doing the Torah to earn, merit, or keep their justification/salvation is not saved or justified. Justification is only by grace through faith. That seems rather straightforward to me as a description of Jewish believers redeemed by God through faith. Trusting in what you do, that is, performance of the mitzvot, to save you is a dead-end street. It only works if you’re perfect at it, and no one is. In that case, the Torah is a curse and it does bring death, but that’s because you’re too blockheaded to see that it’s faith that justifies. However, Paul, who did live by faith, also observed the mitzvot as a Jewish man obeying God and as such, the Torah was a blessing. I mentioned before that I thought the Torah has multiple purposes depending on history, location, persons involved, and other contextual factors. Let’s take a look at one of those purposes which is particularly used to denigrate Jewish observance of the Law. Christ redeemed us from the curse of the Law, having become a curse for us — for it is written, “Cursed is everyone who hangs on a tree” — in order that in Christ Jesus the blessing of Abraham might come to the Gentiles, so that we would receive the promise of the Spirit through faith. But before faith came, we were kept in custody under the law, being shut up to the faith which was later to be revealed. Therefore the Law has become our tutor to lead us to Christ, so that we may be justified by faith. But now that faith has come, we are no longer under a tutor. For you are all sons of God through faith in Christ Jesus. For all of you who were baptized into Christ have clothed yourselves with Christ. There is neither Jew nor Greek, there is neither slave nor free man, there is neither male nor female; for you are all one in Christ Jesus. And if you belong to Christ, then you are Abraham’s descendants, heirs according to promise. A plain reading of the text, and especially as filtered through traditional Christian doctrine, seems to indicate that the Law’s only purpose was to act like a tutor or a “child-conductor” to guide people to Christ and, once that was done, so was the Torah. Christ then frees the person under the Law from the curse of the Law and they walk away from Torah and are free in Christ. Except we’ve already seen that the “works of the Law” weren’t obeying the Law in and of itself, but it was obeying the Law specifically for the purposes of justification; obeying the Law in the absence of faith. The curse was the consequence of faithless performance of Torah in order to achieve justification. 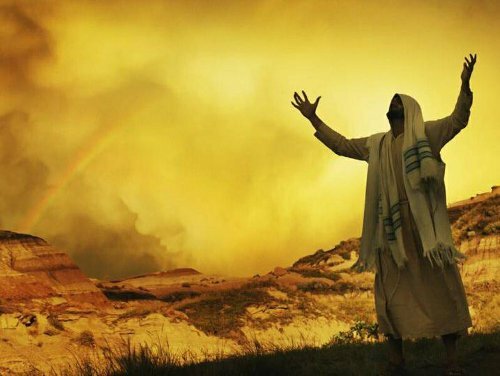 If anything, the coming of Christ freed the Gentile of the obligation of converting to Judaism as the only means of entering into a covenant relationship with God. They did not have to convert and thus observe the mitzvot but rather, thanks to the promises made to Abraham and realized in the Messiah, the non-Jewish believers could come to God by faith and be justified before him. The Jewish believer could also access God by faith and not the false belief (which may have been a popular opinion among some Jewish groups in the late Second Temple period) that only through observing the mitzvot (before faith came) could a Jew (or anyone else) be saved. After all, God can make Sons of Abraham from stones (Matthew 3:9) so being Jewish does not automatically make one justified. In other words, if you are laboring under the false assumption that only observance of the mitzvot can save you, one of the functions of the Law is to guide you to the one who can truly save you by faith: Messiah. Was it not necessary for the Christ to suffer these things and to enter into His glory?” Then beginning with Moses and with all the prophets, He explained to them the things concerning Himself in all the Scriptures. Yes, the Torah pointed and still points to Jesus for the Jewish people and frankly, for any Gentile who believes that converting to Judaism or having to obey all of the Torah mitzvot in a manner identical to observant Jews, is the only way to be reconciled with the Father. In terms of justification, faith in Christ is better than observing the Law if your goal is to be saved. However, realizing that faith in Messiah is the means of justification does not invalidate in the slightest, a Jewish believer’s duty to obey God subsequent to salvation by observing the mitzvot. Thankfully, that observance doesn’t have to be perfect, it just has to rest on the firm foundation of faith, otherwise, justification by the Law only is like trying to live in a paper house in the middle of a forest fire. Gentile Christians don’t obey God perfectly either (Christians, please remember that when you see a religious Jewish person being less than “Torah-perfect”), and fortunately our salvation isn’t endangered by that fact. There’s more I could say on the Torah and Galatians based on the Berkowitz paper, but I think I’ll save that for another time. I believe we can see from the Torah as well as the Gospels and Epistles, that Jewish observance of Torah was not finished at the cross. I believe we can read Galatians, not as Paul’s “anti-law” letter, but as Paul’s correct interpretation of the relationship between Jewish Torah observance and justification. He was trying to tell his Gentile audience that they didn’t have to convert to Judaism and start keeping Torah in the Jewish manner in order to be saved. He was telling his Jewish audience that they had no reason to boast of being Jewish or Torah observance, because it was faith like Abraham’s that provided justification. Their observance of Torah was a valid consequence of being Jewish and being obedient, but their faith is the “sacrifice” of a “broken and a contrite heart,” (Psalm 51:17) that God truly desires. By Your favor do good to Zion; build the walls of Jerusalem. Then You will delight in righteous sacrifices, in burnt offering and whole burnt offering; then young bulls will be offered on Your altar. Moses. Commanded them to keep the law, Just as we are commanded to be Holy, both unatainabl tasks, without the grace of God, man to man Moses could have said do your best to keep the law or at least do better than your neighbor. I think we can agree that it is God’s grace through faith that justifies us before our Creator, not what we do or don’t do. Having said that, we are still commanded to be obedience behaviorally, although how that looks for Jewish and Gentile believers differs somewhat. I believe there is a misinterpretation where we are told we are redeemed from the curse of the torah. We are not redeemed from torah, and torah is not a curse, but we are redeemed from the curses that are evident toward those who have violated and discounted torah. They seem to miss the point. Yes, that’s how I interpret it as well, Chaya. Christians miss the point because hundreds if not thousands of years of church doctrine have taught that particular misinterpretation. If the Torah is not for the gentiles, then why should they worry about the curses? 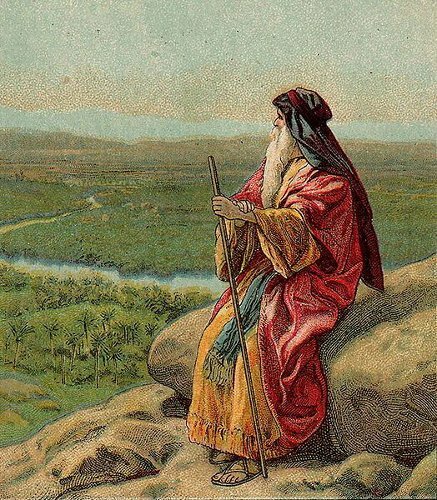 Actually, I wrote this blog post primary for Christians to explain how/why Jewish believers in Yeshua (Jesus) were still obligated to the Torah of Moses. I believe I’ve already addressed how the Torah is applied to Gentiles. This isn’t an all or nothing matter, Dan. My blog posts for Sunday and Monday expand on what I’ve written for today, so maybe that content will clarify my position more completely. As the old saying goes “it takes two to Tango” and each have their own particular role and different (but complemetary) steps to make the dance work. Fred is Fred and Ginger is Ginger – and neither needs to become the other to fulfil a dance’s requirements. With regard to the difficulty or ease of “keeping Torah” – surely the sacrifices for sin are equally part of Torah – so IF someone breaks the law there is a way to mend that break. I see it is therefore not a matter of whether anyone can keep a long list of laws, its whether they are willing to humble themselves and admit failure when it occurs and to submit to God’s way of restoration. The ultimate (and only) way of restoration is via Jesus’ sacrifice. He replaced the many sacrifices of animals. Well, that gets interesting, since most of the sacrifices had nothing to do with sin or atonement. What will happen in the Messianic Era when Messiah will rule from the Third Temple in Jerusalem? James, my reference was specifically related to sacrifices for sin – which are also part of the law and are a means of dealing with the times man fails to live up to the law. And the many sacrifices I refer to are those that were made time and again specifically for sin. My comment was not addressing sacrifice for other purposes. While it is not unusual for rabbinic opinion to offer multiple viewpoints, let me note two of them in this context. One is that sacrifices in the days of messianic rule will comprise only sacrifices of thanksgiving. Another is that sin sacrifices in that era will have a fuller meaning, a doubled meaning, in that they will serve as memorials of a greater sacrifice. Indeed, one might consider that these two viewpoints are not so very different; for is there not a very strong element of thanksgiving inherent in a sin sacrifice that recalls the most effective one that ever could be offered? Even further, is it not in such sacrifices that we might experience most clearly the interconnection between the earthly sanctuary and the heavenly one? 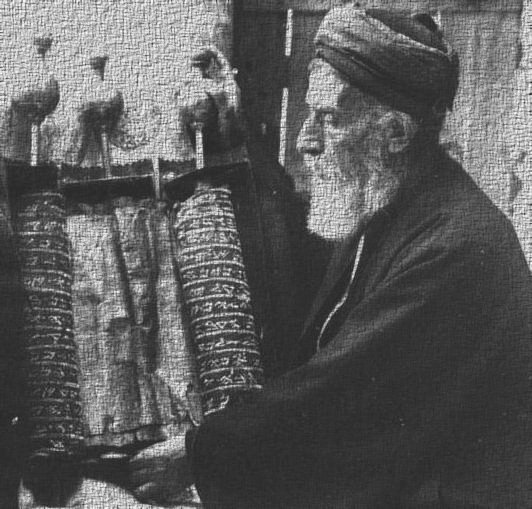 In the present era, the closest we may approach to such an experience is in the Kiddush that sanctifies a dining table as a symbolic memorial of the sanctuary’s altar, and the wine and bread as memorials of its blood and flesh, which for Rav Yeshua’s disciples also reflects his presentation of his offering on their behalf in the heavenly sanctuary. It was no doubt with this in mind that Rav Shaul recalled for the Corinthians Rav Yeshua’s augmentation of the meanings inherent in the specific case of Passover wine and bread, generalizing their symbology to insert a note of holiness and sanctity into their celebrations of common fellowship meals that were in the pattern of the Shabbat Kiddush congregational meal. Their problem was that their meals had degraded into disorderly debauchery with no consideration of one for another — some going hungry while others had already stuffed themselves and become drunk. The invocation of the Passover Seder was a demand for order in the sequence of eating and drinking that would be common to all participants; and the reminder of Rav Yeshua’s sacrifice was a demand to treat these fellowship meals as special, holy, even awesome. For Jews, eating and drinking the Shabbat Kiddush in this fashion is a serious business, recalling participation in the sacrifices of the Temple; and the non-Jewish Corinthians had likely been taught by Rav Shaul to emulate this model and to not confuse it with similar idolatrous meals in pagan temples. It is regrettable that the pattern of a Kiddush fellowship meal was eviscerated of its fullness and reduced to the meager superficial ceremony called “Eucharist”, “Communion”, or most misleadingly, “The Lord’s Supper” (when there is no supper to be had). But perhaps I’ve digressed a bit too far afield from the topic at hand. I hadn’t considered that the sacrifices for sin would continue in the Third Temple as a memorial to the ultimate sacrifice of Messiah. I can see the continuation of Yom Kippur as such a memorial, but the Chatat or Sin Offering may not make a lot of sense in the Messianic Era, especially with a world wide population of servants of the Messiah, and I understand the even the Gentiles will be able to offer sacrifices in those days. However, outside of the Sin and Guilt offerings, it would make a lot of sense for the Olah, Peace, and Food and Drink offerings to resume. With all due respect to the author of the Judaism 101 article, it seemed that he was not himself of the orthodox view he cited in passing about the restoration of korbanot. He did suggest that the reason for omitting sin and guilt offerings in the messianic era would be that no one would sin or feel guilty due to uncertainty about it. He did not address the notion that they might take on a memorial significance, because such a notion must identify an object of the memorial that is to be honored. Generally, it would seem to make very little sense to honor the cause of the prior sin and guilt offerings. Better these should be forgotten, unless one can see in them something of positive value rather than the human failings that once made them necessary. But if Yom HaKippurim offerings are to be restored and continued as a memorial of HaShem’s redemption of the entire community of Israel, then there would exist also some justification for doing similarly with individual memorials of redemption (for example, if an individual should recall with gratitude some specific kind of shortcoming from which he or she had suffered previously and had been redeemed and released). I suspect that in the Messianic Era, we will all find our hearts turning toward God and repenting of our errors, mistakes, and sins. Who wouldn’t want to make the pilgrimage to Jerusalem and make an offering in the Temple of the King? “Trusting in what you do, that is, performance of the mitzvot, to save you is a dead-end street. It only works if you’re perfect at it, and no one is. In that case, the Torah is a curse and it does bring death, but that’s because you’re too blockheaded to see that it’s faith that justifies. However, Paul, who did live by faith, also observed the mitzvot as a Jewish man obeying God and as such, the Torah was a blessing. I agree with your latter direction. I don’t believe even performing all the mitzvot perfect will or would save an individual. While the law is a blessing, it doesn’t cover every situation or matter of the heart. At the same time, it would be necessary for all of the law to be in place in the land of Israel in order that proper judgment and decision-making be conducted (and growth possible). As we know, this was not the case at the time of J’shua. Of course, J’shua was perfect at it to the extent an individual can be (while it ultimately involves community). It’s a dead-end street without faith anyway. Not only if you don’t keep the list perfectly; the faithful heart(s) will be able to fill in the blanks. @Marleen — I’m not sure how you came to add a comment to this discussion so many months after it was posted, but it seems to me that you aren’t quite understanding the relative purposes of faith and works. Aside from Yakov’s comments in his letter about his works demonstrating his faith, the sacrificial system was always dependent on faith, that is, trusting that HaShem would forgive as He promised in response to repentance. Even perfect obedience to the requirements of Torah can only maintain a righteous status; and any shortfall of sin cannot be counter-balanced merely by further righteous behavior. Only repentance, restitution, sacrifice, and forgiveness yield the restoration of atonement or “one-ness” with HaShem. After such restoration, it is expected that one would continue to pursue the standards of righteousness, as a demonstration of the good intentions implicit in seeking prior (and continuing) repentance. The works demonstrate that one continues to trust HaShem, despite the need time and again to repent of something or other and to be restored. The faith and the works are not contrary to each other; they work together — at least they do when one’s attitudes are correct. The same continues to be true when one trusts in Rav Yeshua’s metaphorical, “heavenly” sacrifice. The sacrifice is a tool that only works if there is repentance. It’s free for the asking, but one must ask. The process of failing, repenting, requesting and obtaining forgiveness, and learning to correct errors and to pursue righteous behavior is altogether a process of living works (as distinct from dead ones). These works not only demonstrate faith — they strengthen it. And without faith, one would never bother to do them. With faith, however, they lead onward toward continual improvement, regardless of the ups aid downs along the way. This process is called “sanctification”; and it is part of what Rav Shaul recommended in Phil.2:12 and described as “work[ing] out [one’s] salvation with fear and trembling”. The salvation or “rescue” of a given life, or an entire community of them, from the various natural failings and shortcomings to which humans are prone, is the result. HaShem makes this process freely available, but it is like an open door or a gift wrapped in a box with ribbons and pretty wrapping paper. One must accept and open the gift box, or one must walk through an open door, in order to obtain the benefit associated with those processes. So you see that faith and works must work together in order to repair what is lost by even the most temporary falling short of HaShem’s standards. @ProclaimLiberty — I like very much what you just wrote. I’m not sure why you think what I wrote is in conflict with it; will have to think about that and possibly consider trying to clear up the misunderstanding. At the moment, I would reiterate that the law doesn’t cover all scenarios. That doesn’t make it bad. The reason I’m reading an old post is that I’m following the recommended and linked articles from newer ones. There is probably at least some reason, and maybe more than one, that they are still available; I’m not in charge here, but I find that the discussions are more engaging than church talk. I enjoy your sense of humor, by the way, this being just one example. Ah, here we are again, PL. : ) And I think I now see why what you responded to looked to be in conflict with what you said (thus leading to your posting what you did, which I’m very glad that you did). My collection of quotes and then my saying I agreed with the latter direction: I should clarify that the difference from former to latter that I was meaning was the aspect I put into my words (of response to our site overseer). So, I was not meaning that everything in the first quote of the collection was something to take issue with or call a dead end (using the overseer, James’ terminology in my contribution to the discussion). You have probably figured out what I meant already, subsequent to this discussion (due both to my somewhat unaware response to you here — and due to other things I’ve said later). For the sake of intended meaning in this thread/meditation comments section (because what is not said can be misleading, especially given a history of enforced and then subconscious to assumptive teaching to the contrary), I do agree with the concept of living by faith, also observing the mitzvot as a Jewish man obeying God (as Torah is a blessing). I say further than what this might be taken to mean only by my post above, that Torah is a blessing along with faith even before Christ/J’shua.